BASEL BUILDUP: 7 days to go. Will the bronze age continue through 2017? Yet again, Tudor has delivered one of the most talked about watches of 2016. If you’d asked me in the early months of 2016 if the bronze trend had a future, I’d have said no. To all intents and purposes the craze, spearheaded by Panerai, was on the wane. Sure, the ancient-yet-innovative alloy had its charms, but it takes a certain type of person to mess around with sulphur and lemon juice, making their watch look like something salvaged from a shipwreck. I thought bronze would always be a niche case material, not a mainstream proposition. Then I saw the Tudor Black Bay Bronze. 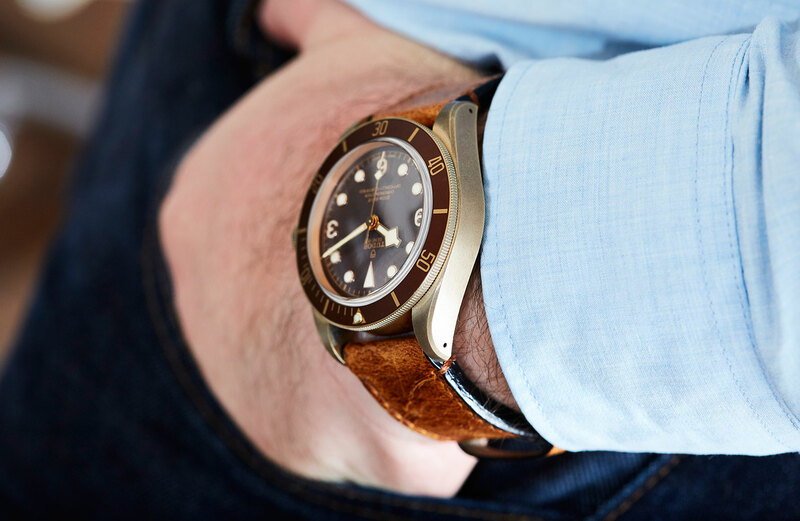 Catapulting off the incredibly strong Black Bay family, this watch has what it takes to bring bronze to a much bigger audience. We have to start this by talking about the case. The two key take away points here are size and material. At 43mm across this is the biggest watch Tudor has ever made, and boy does this incremental increase make for a big impact when it comes to on-the-wrist presence. For me, the size and bulk of the BB Bronze make it much more of a ‘fun’ watch, compared to the workmanlike everyday quality of the steel versions. Of course the case material has a lot to do with the BB Bronze’s more casual, fun personality. 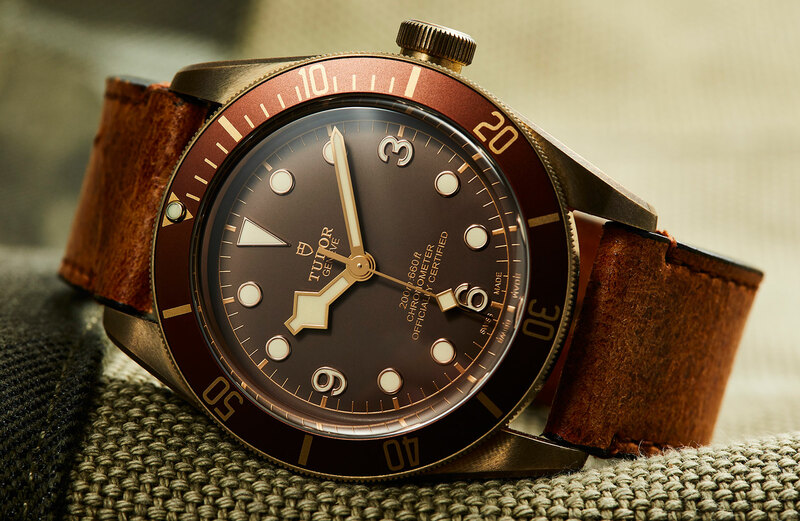 And while Tudor hasn’t led the pack when it comes to the use of bronze, they’ve still done it their own way, using a less common aluminium-heavy alloy, which impacts how the watch will wear over time. So don’t expect to see the sort of crazy, forced patina you’d see on other bronze pieces. 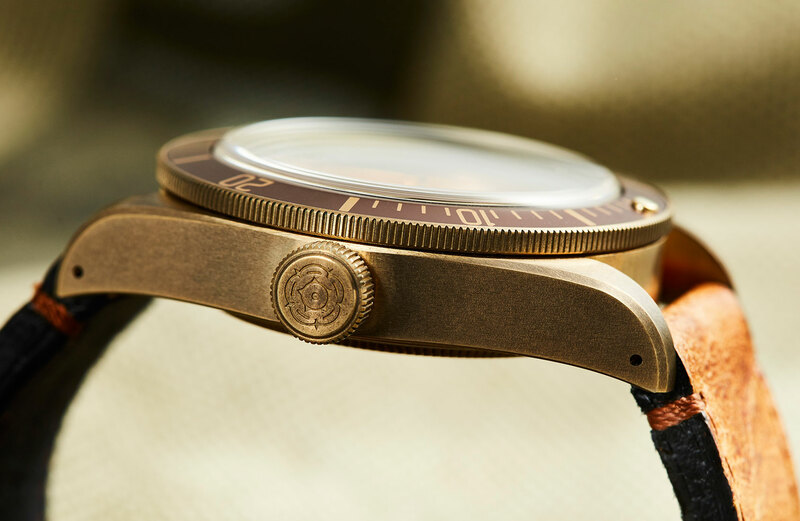 Instead, the BB Bronze will show its age gracefully – the finely brushed case and numerous nooks on the bezel and crown ensure that your watch will take on its own unique personality. Bonus points to Tudor for the bronze-coloured steel caseback (a genuine bronze back plate would leave some patina on your skin), a small detail that most other brands might overlook. It’s not just the case of the BB Bronze that’s breaking new ground. The dial is fairly new too. First of all it’s a matt brown, not the deep richness of chocolate dials we commonly see, more of a warm, earthy tone. The dial matches the bezel, and both complement the case quite well. The other departure from Black Bay convention is the ‘3,6,9’ or explorer-style layout, a design feature found on hyper-rare vintage Rolex Submariners. I’ve always been impressed by how un-shackled Tudor are by their own history, and their willingness to freshen up this fourth (or is that fifth?) iteration of the Black Bay is further evidence of this. Having said that, I do prefer the regular dial, but that’s a matter of personal taste. 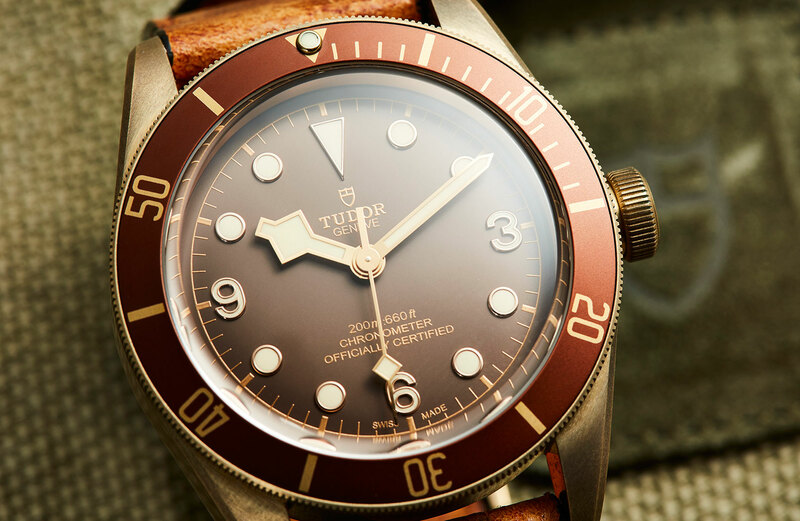 It wouldn’t have made sense for Tudor to offer a bronze bracelet on this model, as it would have left unsightly marks on your wrist. 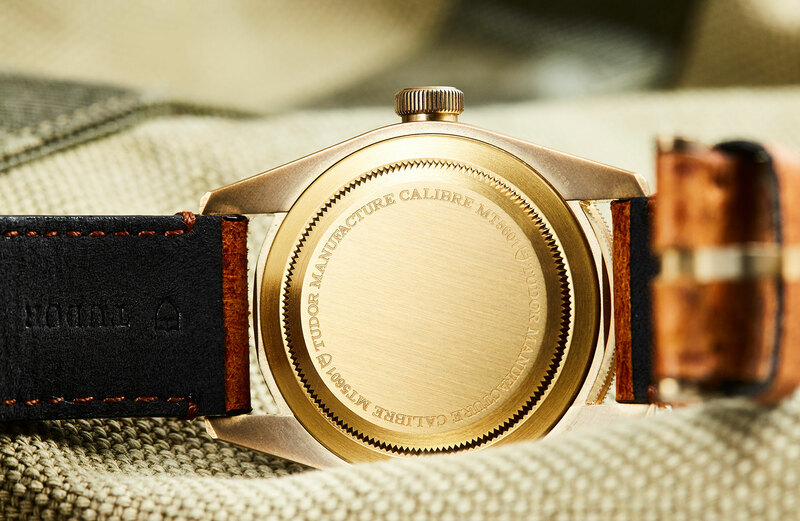 So instead it comes on a honey-toned distressed leather strap, as well as a fabric strap inspired by the very niche ‘nageur de combat’ – an elastic French military strap made from parachute material. This version isn’t elastic and is less green, but it’s still cool. 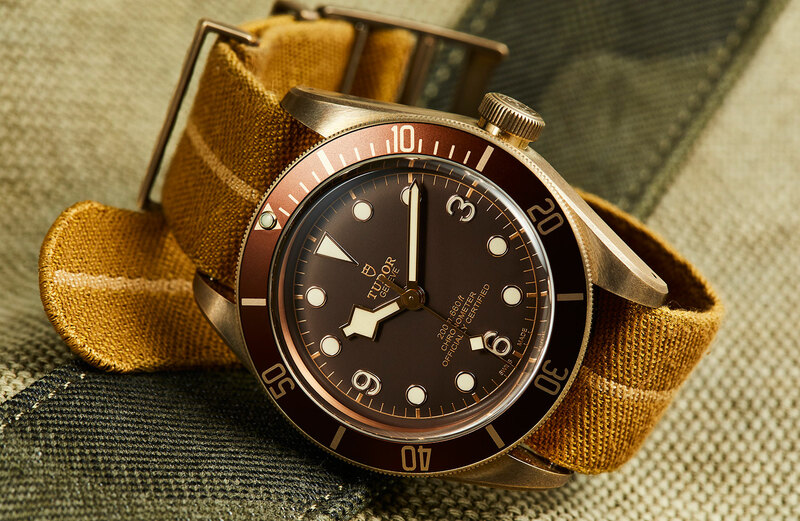 These straps are both up to Tudor’s usual high standards, but they’re both very much in the same tonal range as the bronze case. As a result the watch gives me something of an overload of warm mid-tones, I’d really love something with a little more contrast to make that marvellous case pop even more. Ticking away inside this bronze beast is Tudor’s in-house MT5601, as is now standard with all Black Bays (except the 36). With a silicon balance and 70 hours of power reserve it’s a cut or three above the ETA movements it replaces. When I first saw this watch back at Basel I was surprised. I thought the Black Bay would get a bit of a rest, and that Tudor would shine some light on other lines, like the Pelagos and North Flag. But given time to reflect, I actually think the Black Bay Bronze rounds out the collection nicely. It’s the most ‘out there’ of the Black Bays, and it injects a real sense of fun and playfulness into the collection, while still being very much part of the family. What do you know about patina? This is your perfect second Black Bay. Red, Blue or Black for the working week, Bronze for the weekend. I would have liked at least one of the straps to offer some contrast to the case and dial. Dark brown leather or a deep green fabric strap would have been great. 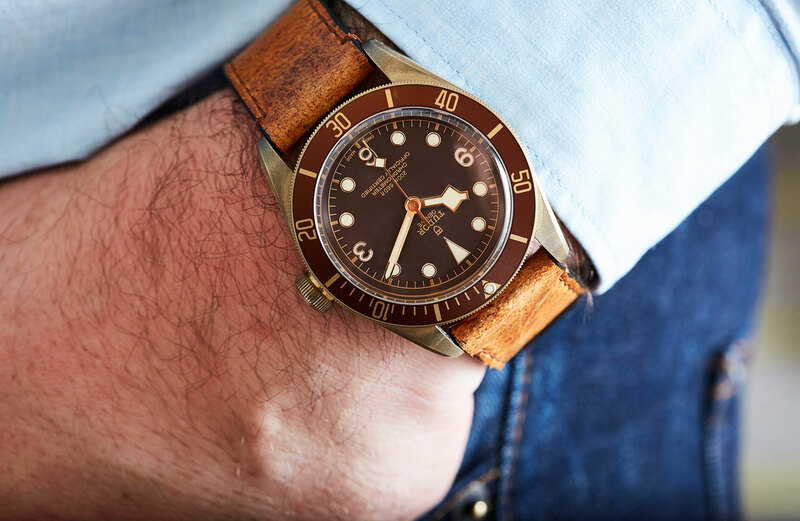 Tudor Heritage Black Bay Bronze, on leather with additional fabric strap, $4750.